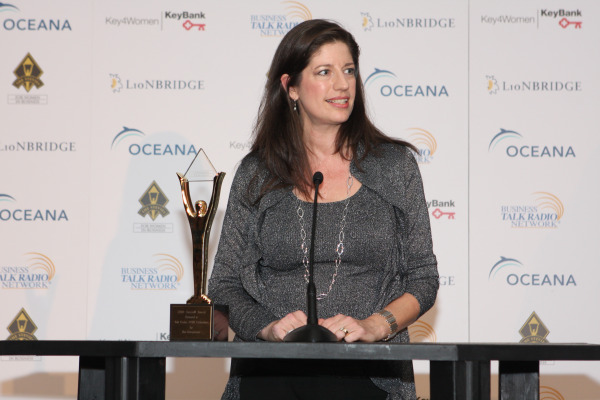 Shining a spotlight on women executives, business owners, and organizations run by women, the Stevie Awards for Women in Business announced the results of its 2010 competition on November 12. The Stevie Awards for Women in Business is an international competition recognizing the accomplishments of outstanding women executives, entrepreneurs, and the organizations they run. With more than 300 businesswomen and their guests in attendance, the awards were announced at a dinner at the Marriott Marquis Hotel in New York City. A portion of each ticket sold for the event will be contributed to Oceana (www.oceana.org), the largest international organization focused solely on ocean conservation. More than 1,200 nominations were submitted this year for consideration in 54 categories, including Best Entrepreneur, Best Executive, Most Innovative Company and Best Overall Company. - Blog of the Year: Career Woman, Inc. The 2010 honorees reflect a diverse group of large and small organizations from around the world. Organizations that won more than one Stevie Award are: Accenture, Apps of All Nations LLC, Big Fish Nation, The BioEngineering Group, BrickFish, DRT Strategies and FuzziBunz. Nations represented in the winners’ circle include Australia, Canada, Malaysia, Mexico, the Philippines, Sri Lanka, Turkey, the United Kingdom, and the U.S.A. For a complete list of honorees and more information, visit www.stevieawards.com/women.